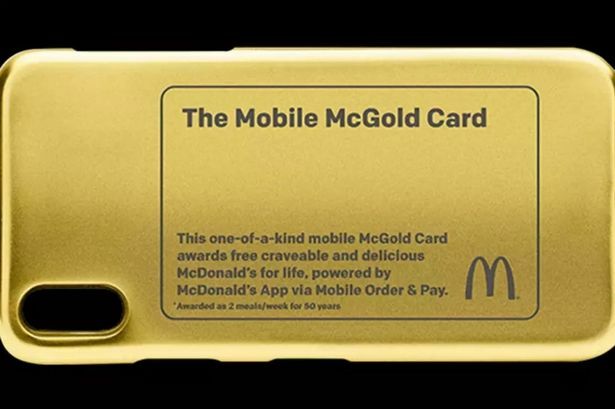 The fast food giant is offering customers the change to get their hands on the 24-carat gold card, which will get the lucky winner free food for the next 50 years. If years of free food and a very snazzy accessory doesn't appeal, the winner will be able to opt for a cash prize instead. The competition is being run through the McDonald's app, and all people need to do to enter is sign up and order a meal on it before August 24, reports the Evening Standard. However the competition is only open to people who live in the US, and entrants must be over 13 years old. A spokesman for McDonald's said: "The card give away is exclusive to the McDonald's App, which allows customers to customise their orders, get exclusive App deals and place their order ahead of time from their phones." 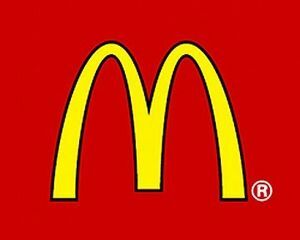 It's a big year for McDonald's as their more famous burger, the Big Mac , is celebrating its 50th birthday. They've done lots to celebrate, including released it's own currency, the MacCoin. The coin will be handed out to every customer who orders a burger at restaurants across the world, and they can be used to buy another burger at a later date. Disappointingly, no UK restaurants are taking part in the promotion. According to the chain, an incredible 1.3 billion Big Macs were sold last year last year.